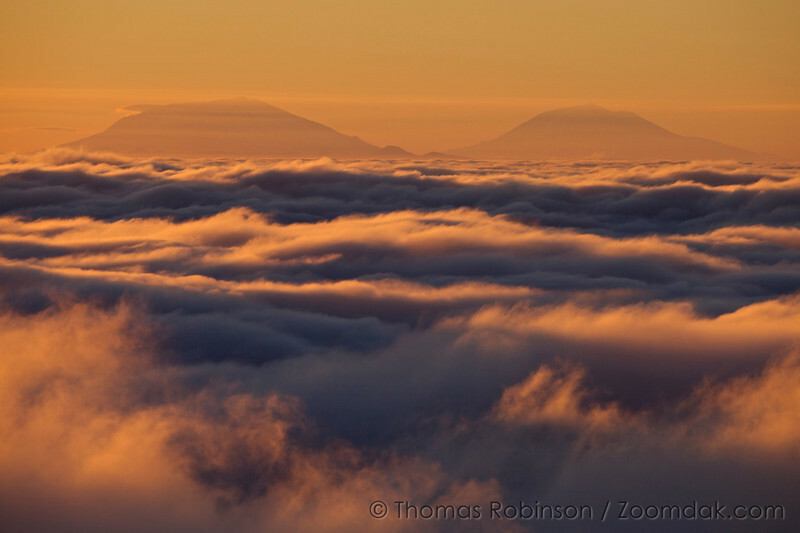 Sunlight dances across the sea of clouds at sunrise with Mt. St. Helens and Mt. Adams in the background.